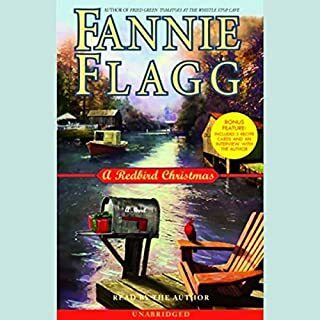 With the same incomparable style and warm, inviting voice that have made her beloved by millions of readers far and wide, New York Times best-selling author Fannie Flagg has written an enchanting Christmas story of faith and hope for all ages that is sure to become a classic. In the latest novel from Susan Gregg Gilmore, sometimes you have to return to the place where you began to arrive at the place where you belong. Have you ever dreamed of taking your own life? This audio read by the author bases a book around this notion. How can that be entertaining? Well, it was. Full of twists and turns, sometimes outrageous, sometimes hilarious, sometimes sad and upsetting, I was captivated by the characters, some alive and others very much alive in the hearts of those they left. I appreciated that it was read to me by the author. Thank you. After the first 2 hours of this book I didn't think I would be able to finish it. It seemed like an exercise in the mundane. The narrator talked a lot more about the feelings and thoughts of the character than any substantive dialog or interaction. After the 3rd or 4th hour I was hooked. I later realized that the beginning was really a good explanation of the characters mind sets. Without it, later in the book you would be cussing at the book for the decisions the characters were making. But the beginning puts you in the right frame of mind to empathize with the characters and understand the "why" behind their actions. Fannie Flagg is a great storyteller, but I didn't realize what a good reader she is. Knowing the author was reading the story herself gave it another dimension for me because there are not a large number of fiction writers out there who could pull this off. 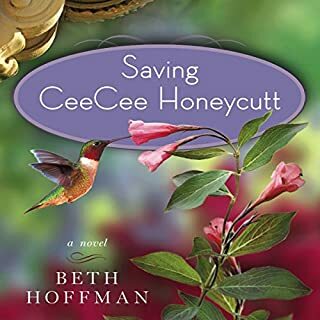 I enjoyed the tale, found a few parts of it contrived, and one plot convention in particular left me thinking that the sub plot about Edwina Crocker should be its own book, rather than an uncomfortably included story unrelated to the heroine here. Maggie is a bit less than a fully believable character, but the story flows well, and has a happy ending. All in all light reading to keep you occupied while doing something else. I've always loved Fannie Flagg . . . she is a master storyteller. Not many authors are able to narrate their own books . . . but she does a fantastic job!!! The characters she creates are so representative of so many people we've known and loved or hated throughout life. I'm so glad I bought the audio version . . . it's like remembering when you were small and your parents read you a story . . . 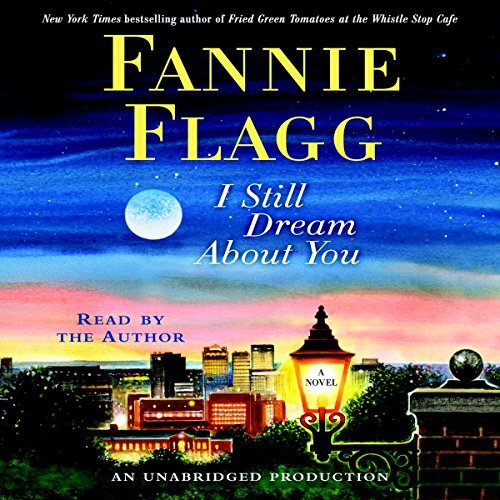 I love all of Fannie Flagg's stories and this was no exception. She reads her own stories so well that you wouldn't ever want someone else to read them! This book is funny, entertaining and sad in parts...a great read! If you are a fan of Fannie Flagg you will enjoy this story, but it is just a bit dark. It is a "true to life" accounting of the relationships between family and friends. I think that it moves her storytelling from parenting years to the retirement and widow years. Fannie should always read her books. No one else can do them justice. 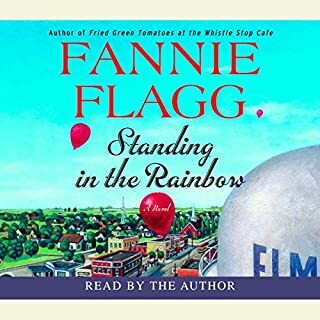 A sweet story with subtle but extremely moving emotional peaks - - Fannie Flagg tells tales about real people from real places with real emotions and honest humor. 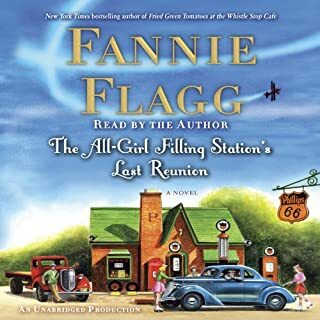 Add to that the charm and talent of Flagg as a narrator and you have a pitch perfect tale of the modern South and the quirky but proud women who grew up there. This is good easy listen. 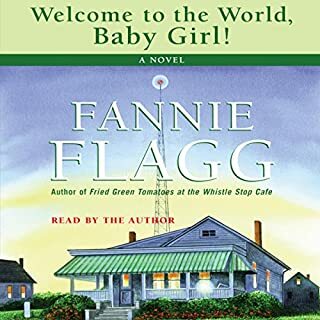 I like Fannie Flagg's books, nice clean plots, uncluttered cast of characters, no great mental gymnastics to keep up, relaxing and a nice little escape. This type of book appeals to a wide cross section of people, even if some of these listeners like other genres. After listening to several very heavy books I needed a break and went to Fannie Flagg to find it. Yay. I loved that she read it-always a plus when the author reads. Nice story about GRITS (girls raised in the south) and their friendships. I enjoyed the listen and adore Fannie. Thanks. I am not even finished yet and still I love it!!! As I love a wide variety of audiobooks, I just completed Mr. King's newest and was chilled to the bone. What a sweet relief, like coming out of the darkest of nights to the most beautiful dawn, was the transition from that to Fannie's latest. 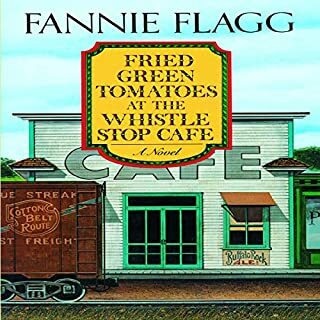 I fell in love with Fannie's style with "Fried Green Tomatoes at The Whistle Stop Cafe", and adored every single book she has ever written! This one is as delightful as always and different and exciting as well. Fannie, I LOVE YOU!! !